Learn how to update the email address on your subscription. If you need to update the email address on your subscription follow the steps below. First, find the link to your subscription management page. 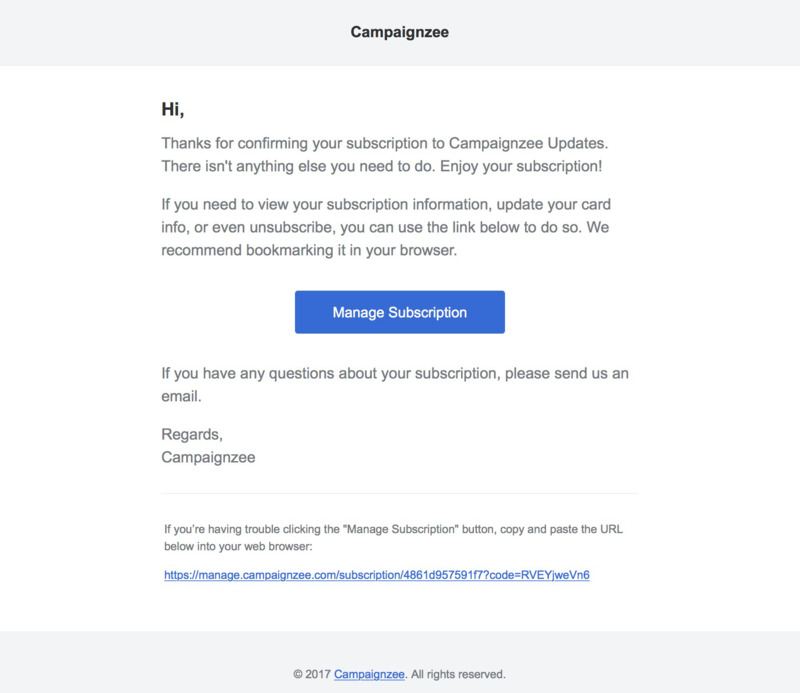 An email containing the link was sent to you after you confirmed your subscription. If you've lost the link, you can request it here. Next, click Change Email. Enter and confirm your new email address, then press Change Email. Note: If you have lost the link to your subscription management page, please see this article for steps to request a new link.